At the outset, let me express my sincere pleasure at the Police of the Czech Republic being here for the second time and having the chance to present themselves on such a significant event, which the Future Forces Forum project undoubtedly is. The Police of the Czech Republic, as the largest security force in the Czech Republic, have their say towards the topics of defense and security but, at the same time, can learn a lot in the area of Science, Research and Education. We have been trying to modernize and professionalize the police force not only in the personnel area but in the technology area as well for a long time. An illustration of this is the recent purchase of specialized intervention armored vehicle, vehicles with thermal imaging cameras, spectrometers and chromatographs for expert workplaces and another modern technical equipment. Future Forces Forum project offers not only to us but also to all legal entities involved in the areas of protection, defense and security the possibility to draw new inspiration and share valuable information and good practice. We live in times in which nearly the whole world suffers from terrorism, migration, extremism, cybercrime and from other modern security threats. The security and defense is the top priority for the Czech Republic even though, according to the European measures, we are the fifth safest country in the world and we took seventh place out of 163 states. 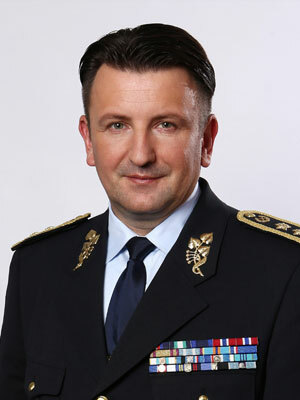 Together with the Armed Forces of the Czech Republic and other Integrated Rescue System responders active during extraordinary events, we must not ease off and I guarantee, on behalf of the Police of the Czech Republic, that we do our best to at least hold up our position in the Global Peace Index ranking. There is no other way but to express my wish that the security of our country may remain the priority and the Police of the Czech Republic would move forward the same as the adverse emerging modern security threats. To conclude, on behalf of the Police of the Czech Republic I would like to show appreciation towards the Future Forces Forum project organizers for the chance to attend this event and for their responsible approach in the area of security and defense. For the most part, may all attendees and visitors enjoy this event to its fullest and achieve the desired outcomes.